When Suni’s family was at the brink of poverty, she learned that those who have the least, give the most. She reminds us to not judge others, become aware of others’ needs, to never despair and to seek the light in time of darkness. Suni Paz was born in Argentina, on a Tuesday, on the thirteen day of the month of August at witches’ time: -Midnight. One year after her birth, the child was publicly presented to her grandmother on her father’s side who, impressed by her countenance, baptized her: -The Queen. At twelve, she took a new friend, lover, and life companion: -The guitar! 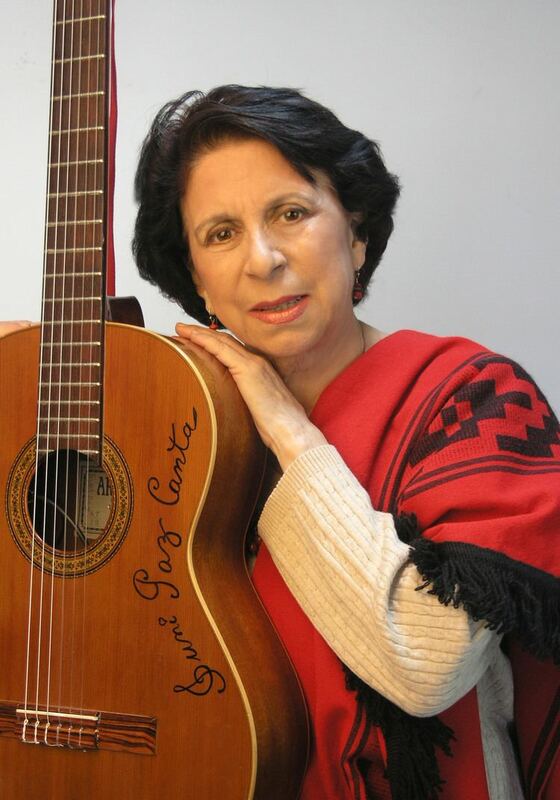 At fourteen, she wrote her first romantic song: -A Bolero and began writing whatever came to her head. At twenty, she was going around with her two in her arms singing a string of baby ballads and country songs on an armadillo-like instrument, and beating impossible rhythms on a big drum. She had already left tangos and boleros behind. She had embraced folklore and motherhood. At twenty-eight, she lost her first husband forever, became a rebel in her heart, and a copywriter for an advertising agency to make a living. On her thirties, she remarried and got with it a gift: a ten-year-old stepdaughter. She began writing non-stop. From then on, her three children, the guitar, her lyrics, songs, books, and the children of the world became her passion and concern. Her songs dedicated to her love ones who live in countless states and countries, have been all published. To sing, to write, to read, to travel, to compose, to keep adoring her children, her million kids from around the world life brings to her, her dear friends, herself and the rest of humanity will occupy what is left of her life. Expressing herself as a responsible artist will continue to be the focus of her life.